Located just off the east coast of Africa in the Indian Ocean, Mauritius is an idyllic island offering the ideal escape for a romantic getaway. An island paradise, Mauritius offers gorgeous white sand beaches as well as crystal clear ocean waters. A great destination for honeymooners; Mauritius features a range of beautiful 5 star resorts providing luxury accommodation for your special escape. Furthermore, with everything from water sports, to relaxing spa treatments, there’s something for everyone in Mauritius, with the choice of doing as much or as little as you desire. Take advantage of our exceptional “Honeymoon in Mauritius” special, offering 6 nights accommodation at the luxurious 5 star Lux* resort. The Maldives is not one, but a collection of over 1000 coral islands, with roughly 200 inhabited and offering beautiful accommodation. 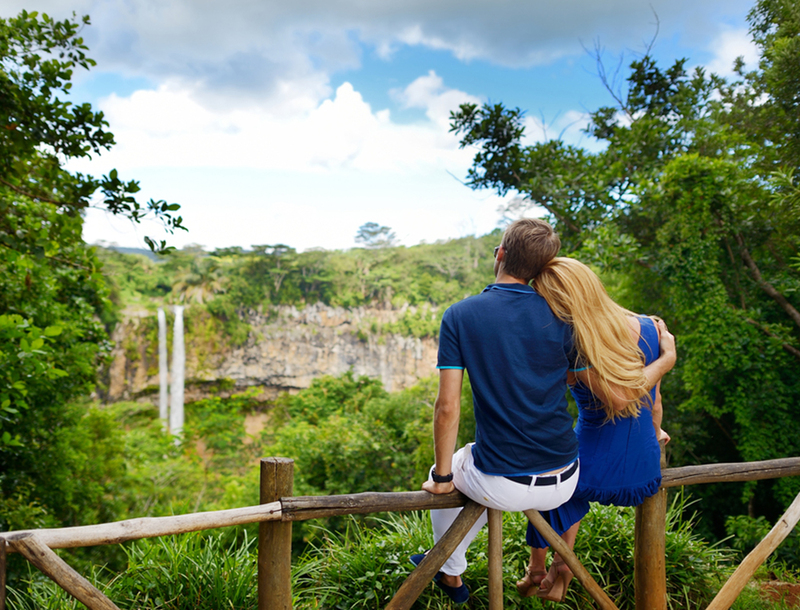 Sit back, relax and appreciate the natural beauty of one of the most picturesque destinations in the world with your special someone. Its been known to be one of the top honeymoon destinations for decades, and that doesn’t surprise us. What’s more romantic than being with your partner staying on an island in your private beachfront bungalow, on an unspoiled white sandy beach, with azure water shimmering into the horizon, and no one but the two of you to enjoy the Maldives’ remarkable natural beauty. Spend your days taking long romantic walks on the beach; snorkel or dive into the underwater paradise; or simply watch the sun go down and witness a remarkable sunset like no other. Available for a limited time only is a special offer “Honeymoon in the Maldives”. Enjoy 7 nights accommodation at the luxury, Como Cocoa Island enjoying exclusive honeymoon inclusions such as a complimentary 60-minute couples spa treatment. With its prime location on the Adriatic Coast providing pristine beaches, palm fringed ports as well as breathtaking sunsets of course; it was hard to choose just one romantic destination in Croatia. Each town has its unique traits of love and romance but Dubrovnik has a magical spark! In addition, if the historic charm and gorgeous coast aren’t enough, did we forget to mention the food and wine? Dubrovnik is home to delectable gourmet food and is only a short drive from some of Croatia’s best wineries. Referred to by many as the “Paris of South America”, its no surprise Buenos Aires is one of South America’s most romantic cities. Be sure to check out the beautiful parks, a gorgeous waterfront, exquisite cathedrals and picturesque city streets; there’s no better place to fall in love all over again. Feel the passion of the tango as you witness dancers on the street, and maybe even take class yourselves; immerse yourself in the culture; explore the city streets; or take a stroll along the Puerto Madero and experience the romantic setting of the riverbank lights reflecting on the water. Adding to the charm of Buenos Aires is its incredible food. Within the city, you’ll find an array of world-class restaurants serving delicious food as well as providing an intimate ambience.